Aah--the shocking joys of parenting! 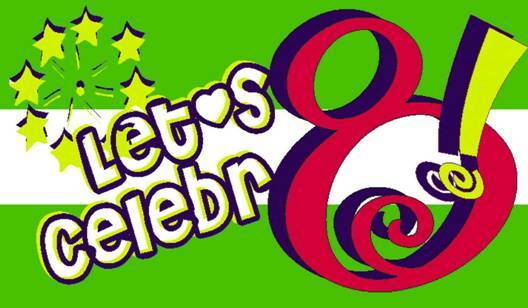 Well, today is officially our 8th Anniversary! It has flown by, but it is so nice to have a best friend to share everything in life with, and honey, if you actually take time to read this blog, I want you to know that I am glad that best friend is you! 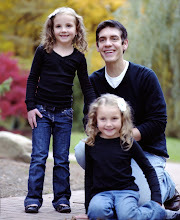 I love you tons-- Thanks for being a great husband and a great dad! White Castle, Romantic...Two words that shouldn't be used together! We have some dear friends who were willing to take our kids so we could go on a date for Valentine's Day/Our Anniversary. So, last night as we were planning David said, "Well, I know White Castle is taking Valentine's Reservations." I laughed and said I thought that was funny b/c I thought he was joking. Then, I went to our city website where they list local events, and come to find out, it is NOT a joke. White Castle is really taking reservations and they are even serving sliders by candlelight and table side waiters are on hand. This is why I think women should always be in charge of romantic dates...OR you never know what you will get! j/k Anyhow, we do have yet to try White Castle. We live down the street from several, but I just haven't managed to drop my standards quite that low, however many people do find their food tasty! Maybe we will have to take our families there when they come out next month! Happy Valentine's Day everyone! OH and did I mention...I met my HUSBAND for the first time on Valentine's day? So that also makes it extra special...OH and did I mention...we got married over Valentine's Day weekend? (The next year of course!) The funny thing is the day I met him, that morning I remember thinking to myself, "Wouldn't it be funny if I met the man of my dreams on Valentine's day?" Even though we met that day, we really just buddies for a long time, but it is still a cool coincident! The girls were being silly and gave each other a 'hot lips' fake kiss! Can I just say, I have one great Mother- In-Law! She just sent me one of my favorite candies. Now that we have clarified the fact that I LOVE Valentine's day, I also have to mention that one of my favorite treats is cinnamon hot lips, I love cinnamon bears too, but hot lips are so much more romantic! (j/k that was for Sara.) Anyhow, I cannot buy them out here and have looked faithfully for the past four years, so out of desperation, I called her and asked her to send me some, she not only sent me one, but three bags and cinnamon bears too...So KIM if you haven't decided whether or not to come out next weekend and you need an incentive, I will save you a few bears! Anyone else out here craving them, give me a call, I'm sure we can work out a deal! j/k I'll share. The girls loved them, and I think we ate more than our fair share already! Thanks Margy. Last week, we went about our daily lives like usual, but Monday night we were informed that a storm was heading our way and we were supposed to be getting a lot of snow (well a lot for here anyway.) So, I got excited and started banking on the fact that Tuesday would be a snow day. I was mostly looking forward to no pick-ups/drop-offs or any other driving. Well, Tuesday, we did get dumped with snow, Wednesday we got a little, Thursday the roads froze and Friday much of the plowing still needed to be done. So, the first day was great with kids at home, the second was a pleasant surprise, but the last two got a little long for the girls. Thursday we decided to be nice and take them to dinner since Dad and I had be neglecting them and organizing the house. So, their vote was McDonald's--it was closed, we drove across the street to Taco Bell--it was closed, so we finally ended up at Burger King--whose drive thru was open. It was an odd day. That day our Mayor even declared a 'family day' where everyone was supposed to stay in doors, at home and just be with their family---I thought that was neat. Then, yesterday we were on a two-hour delay and most other school districts were cancelled. So, between several days off for the wind storm back in October and the snow days last week, I have a feeling school is going to get extended at the end of the year! Uugh! And I was so looking forward to a month at home in June. Guess we'll see what happens!